SimpliPhi Energy will introduce its new integrated Energy Storage System this fall. It is a plug-n-play, all in one system for those who want to add battery storage to a new or existing solar power system. It is similar to the Tesla Powerwall except it uses non-toxic batteries that carry no risk of fire. At the start of the solar power revolution for home owners and small businesses, the grid served as a battery. Any excess electricity was sent to the grid until needed. Using a device called net metering, utility companies would pay for the excess electricity and the money derived by rooftop solar owners went to offset the cost of the solar system. As rooftop solar has grown, however, utility companies have become more reluctant to pay for excess electricity, primarily because most of it comes in during the day when the utilities already have enough capacity. People have come to realize the future of solar power is not net metering but time shifting strategies that allow individual customers to store their own electricity onsite and use it later when they need it. The problem has been that adding a battery storage capability to a small rooftop solar system involved expertise and skills beyond the capability of most solar installers. There are several electronic components involved in any such system. There is the battery, then the inverter that converts direct current coming in from the solar panels to the alternating current needed in most homes and businesses. There are battery management systems needed, as well as the heating and cooling systems that lithium ion batteries require. The liquid electrolyte in most batteries is toxic if spilled and can ignite if internal temperatures get too high. SimpliPhi started in 2010 supplying battery power to the movie and entertainment industry. Thanks to careful management, the company has grown into a top tier energy storage company serving home owners, the entertainment industry, and the military. It uses non-toxic lithium ferro phosphate batteries that do not require costly and complex heating and cooling system. To solve the welter of confusing options available to solar system customers who want to add battery storage to their systems, SimpliPhi has partnered with suppliers, installers, customers, and engineers to create a simple plug-n-play Energy Storage System that comes in one easy to install but elegant package. “Here in Hawaii, we were searching for a storage solution with lower installed costs that was faster and easier to install in more places than what was available to us. For our customers, the ability to install the SimpliPhi ESS outside gives us a major competitive advantage when bidding projects,” said Mike Paul, president of Apex Electric, who also collaborated with SimpliPhi on product development. Today, SimpliPhi announced the closing of a $2 million bridge round of financing. That will enable and expansion of its California based manufacturing facility, where it produces its lithium ferrous phosphate energy storage and management solutions. It will also allow the company to ramp up production of its Energy Storage Solution system. SimpliPhi Power technology utilizes patented, licensed lithium ferrous phosphate cells with state-of-the-art proprietary management boards, circuitry, cell architecture and methods of assembly to create safe, intelligen,t and energy dense storage and management systems. 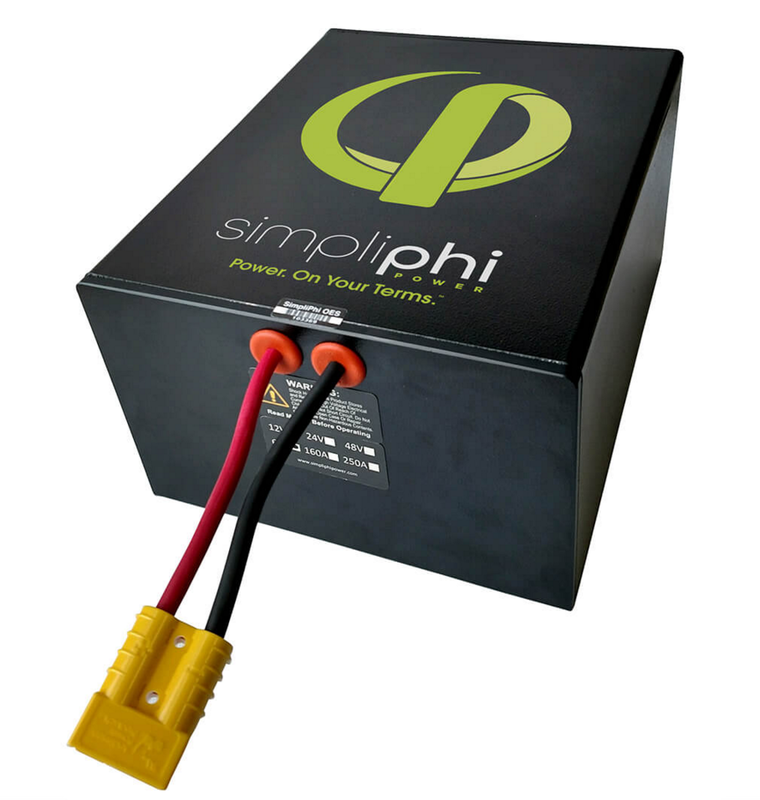 SimpliPhi batteries feature the highest efficiency rate in the industry (98 percent), 10,000 cycle life and 100 percent depth of discharge. The compact, lightweight form factor does not require ventilation or cooling, is rated for outdoor installation, and can operate at a wide temperature range of -4 to 140 degrees Fahrenheit. SimpliPhi solutions integrate with all industry standard inverter charge controllers and come with a standard 10-year warranty, making them an ideal ‘drop-in’ replacement for existing lead acid battery banks and other applications. Visitors to the Solar Power International trade show in Las Vegas September 12 – 15 can visit with company representatives to learn more about the Energy Storage System.